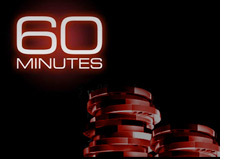 According to Nat Arem's blog, 60 Minutes (the television show) is in the process of preparing a story about online poker. 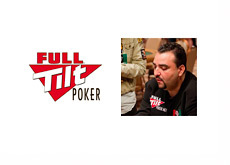 More specifically, it sounds as though the focus of the story will be the Absolute Poker scandal. According to Nat, Steve Kroft, who is to be the lead investigator on the story, has already interviewed Arem and is looking to interview some of the other principal figures in the Absolute Poker scandal. Mark Seif has publicly said that the "60 Minutes feature is a terrific opportunity" to generate support for legalization. This story will almost certainly have a very negative slant (in my opinion), and I really don't believe that the story will push the agenda that online poker should be legalized and regulated. Rather, I would expect that this story will take the angle that the federal government's decision to try and prohibit online poker via the UIGEA was the right one, due to all of the corruption and scandal in the online poker world (case in point, Absolute Poker). Apparently 60 Minutes will be visiting a number of different places to acquire material for this story, including Canada, Costa Rica and Vegas. It will be interesting to me to see if they really delve into the Kahnawake Gaming Commission and the relationship that they have with the companies they are licensing. I am assuming that this would be the reason for 60 Minutes to travel to Canada. Some people see this story as a positive for the industry, but I just don't see 60 Minutes spinning it that way. What do you think?